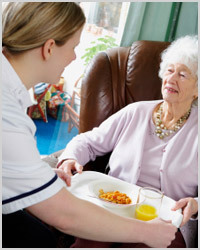 There’s a reason that home care is sometimes referred to as personal care. That’s because home care should be tailored to your specific personal care needs, and Affordable Home Care leads the valley of the sun as the most customer centric home care company since 1998. When you call Affordable Home Care you will notice from the very first hello that our experienced care team is dedicated to your needs and we are not a one size fits all service. Your nurse managed customized care begins with our employment practices. We personally select, interview, train and test our CNA’s and caregivers to ensure we employ only the most qualified home care professionals. If your care requires memory support, we partner you with a certified SMART cognitive intervention caregiving coach. If you have a chronic illness that requires monitoring, we partner you with a CNA or caregiver who has experience with your illness and has passed our chronic disease management training program. If you require hospice, we partner you with a CNA or caregiver who has experience working with end of life patients. Fall Prevention, SMART Cognitive Intervention for Alzheimers & Dementia, CHF, Stroke, COPD, Cancer & Palliative, Pnuemonia & Parkinsons.